Having years of expertise and skills in domain, we are offering a wide range of Grand Piano. 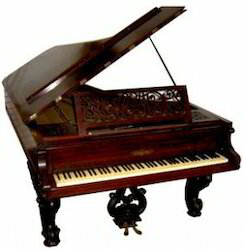 This Grand Piano is used for entertainment purpose and many others. The Grand Piano is easy to learn and play thus highly recommended amongst the customers. We are a very renowned name for offering Musical Synthesizer to our customers. This is an electronic instrument able of producing sounds by generating electrical signals of different frequencies. These electrical signals are played through a loudspeaker or set of headphones. 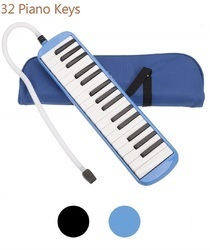 Specifications : Artist model telescopic case, 3 3/4 octave, 4 set of reeds(Bass-Joori, Joori-Higher), 3 oct-scale Key Board.